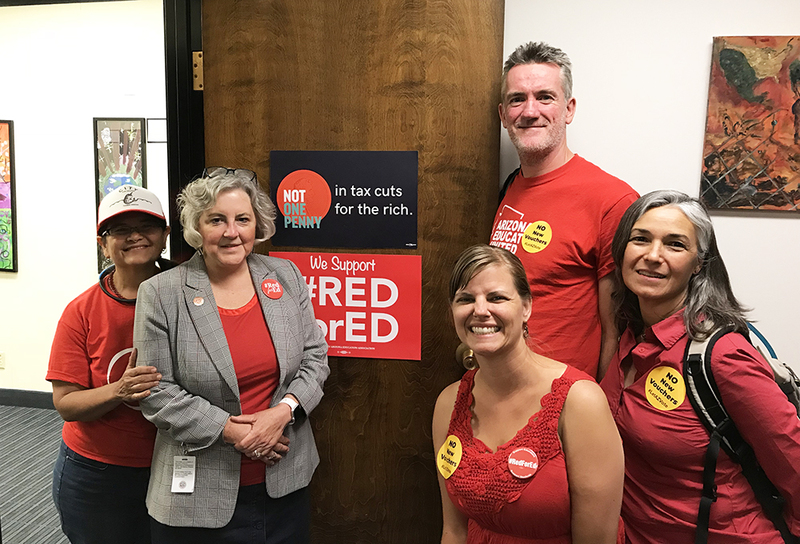 The Red For Ed movement took the Arizona Capitol by storm in 2018. It started with a trickle on the first Wednesday that we were told to wear red to the Legislature. 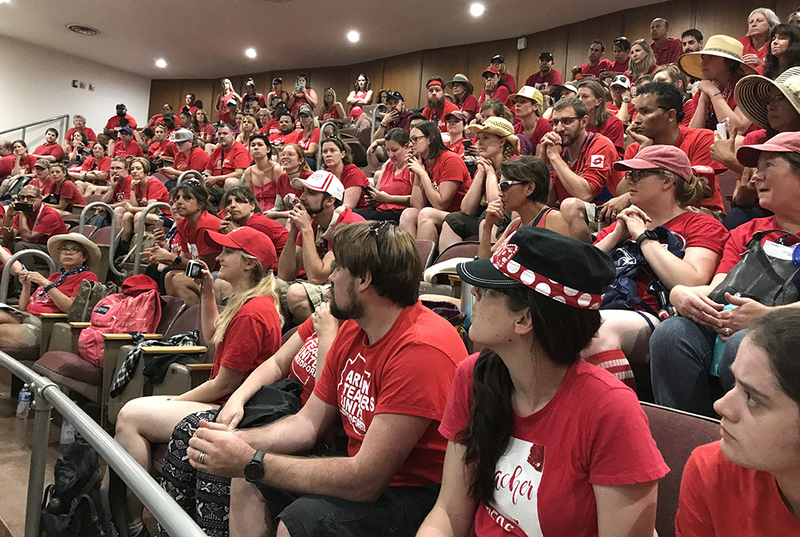 It peaked on budget night when hundreds of teachers and public education supporters filled the galleries and overflow rooms in the Senate and the House to watch the all-night budget process, while others held a candlelight vigil on the lawn. Teachers filled the House gallery. I fully support the Red for Ed movement and their demands for raises for teachers and support staff; sustainable, designated, long-term funding for education; restoration of public education funding back to 2008 levels; and no new tax giveaways until the schools are funded. I also support the Invest In Ed Citizens Initiative which would raise more than $600 million in dedicated funding for public education. Several groups of Tucson teachers visited my office. Public education is the road forward for our children and our country. It’s time the Arizona Legislature fully funded it. The Invest In Ed Citizens Initiative, if it gets on the ballot and if it passed, is a good start, but it doesn’t go far enough. When the Tea Party– under the control of then Governor Jan Brewer and former President of the Senate Russell Pearce– started the annual scheduled corporate tax cuts, in 2011, they cut corporate taxes by $100 million. By 2017, the scheduled corporate tax cut was more than $1 billion. It’s no wonder that the state owes the schools around $1 billion. The money to restore K-12 public education, the community colleges and the university system is in the corporate tax giveaways. The Legislature should review all of the tax giveaways, determine which ones are effective and affordable, and eliminate the ones that are narrow in benefit. When I say “education at all levels,” I mead “all levels,” including early childhood education and adult literacy. During the budget battle of 2018, the Republicans left $56 million in earmarked federal childcare subsidies on the table. In the middle of the night, I proposed an amendment to the budget to spend those funds, but it was not in the GOP game plan to restore any of the $80 million in childcare subsidies that they cut during the Great Recession. Arizona is the ONLY STATE in the US that didn’t take the federal funds. If re-elected, I will propose that we appropriate the $56 million to fund childcare subsidies. Along with tiered reimbursement for childcare, which passed in 2018, the $56 million will help low-income families access high-quality child care. The lobbyists say that it was one man– one Legislator– who stopped $56 million from being distributed to families living in poverty because he doesn’t think Arizona should be taking federal funds and because he thinks women should be at home with the children. I don’t know who that person is, but why is he being protected? It’s time to stop #GovernmentAgainstThePeople in Arizona. It’s time to end the tyranny of a few right-wing ideologues who call the shots and hold our state government hostage. For more information, here are a few blog posts on education. Here are a few of my one-minute updates on Red for Ed and the budget process from my office at the Capitol. Here is a video on education that I did for my 2016 campaign. [Caption for above video.] Thirty-three percent of Arizona school children who are on free or reduced lunch programs are not proficient in English reading by the fourth grade. Recently, we learned that 1400 third graders will be held back because they can’t read and they failed a high-stakes test. Instead of focusing on why Arizona’s school children aren’t doing well in school, let’s step back and look at the families. Twenty percent of Arizona children have parents who are not fluent in English. We not only need preschool, all-day kindergarten, and fully funded public education, we also need reading tutors, librarians and adult literacy. If we can help parents learn to read and speak English, they can better help their children read, and they will be qualified for better jobs. Help me help families thrive. 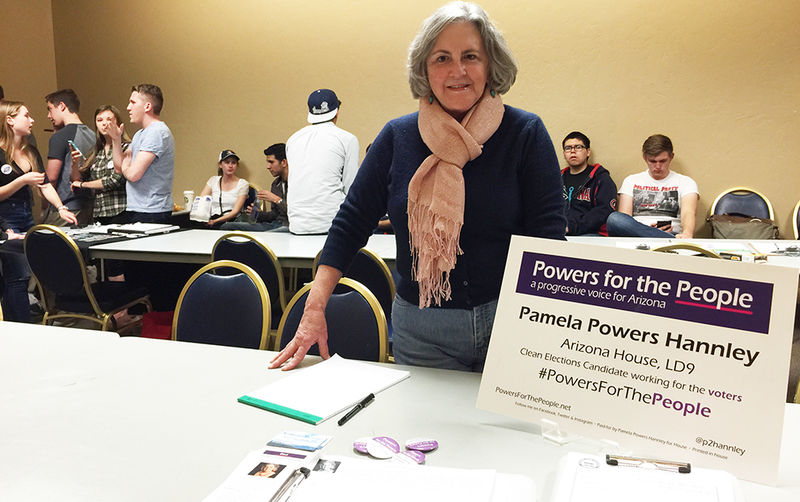 Together we can build a stronger Arizona for future generations.